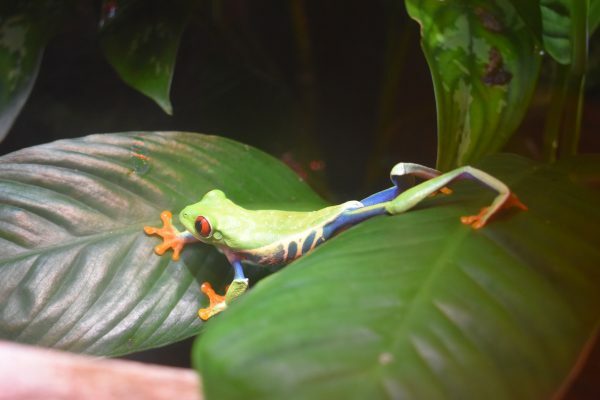 The National Zoo in Washington, DC is worth a stop if you are spending a few days in the nation’s capitol. One of the best things about the zoo is that it is free since it is part of the Smithsonian. 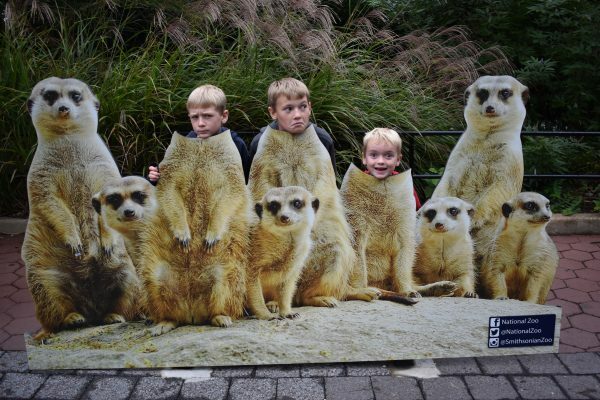 We had a ton of fun at the National Zoo in Washington D.C. However, the parking is not free. There are three lots located north of the zoo, and it costs $25 to park there. We considered this an entry fee for our family of five, and it was still a cheap rate. 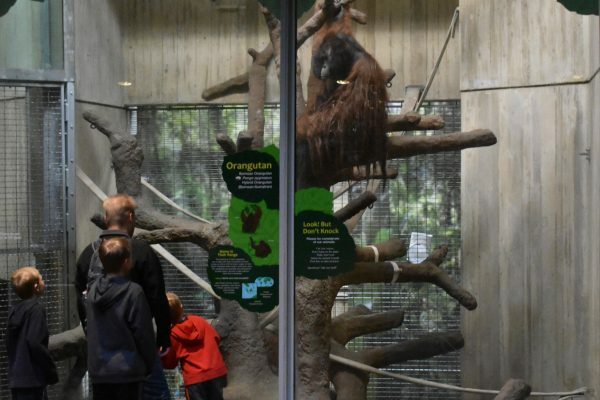 You can try and locate street parking that is free, and walk to the zoo if you want to avoid the $25 fee, but most street parking is only 2 hours, which limits your time in the National Zoo. The zoo is built onto a hill which slopes down toward a petting zoo. If you park in lot A, you walk downhill with a climb back to the car. Lot C puts you at the bottom of the National Zoo which means climbing to the animals, but a quick walk back down to the car. We chose to park at Lot B, so we walked up to the Pandas, then back down for everything else, but then only had to walk halfway up the hill to get to our car. The zoo in Washington is no better or worse than any of the zoos we’ve been to, but it does have one main attraction: Pandas. We decided that it was worth the trip even if we just spent an hour watching these rare treasures. We made them our first stop in the morning. 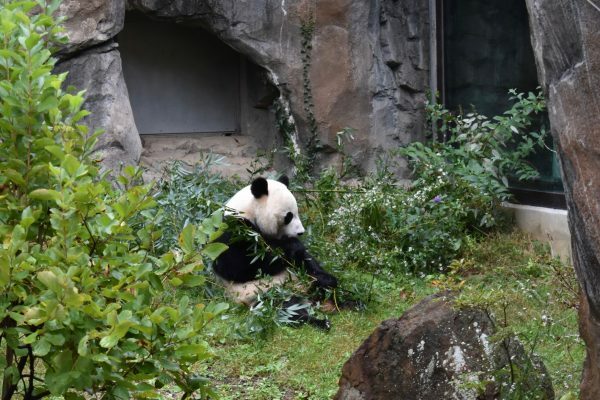 We loved watching this Panda eat right next to the window. 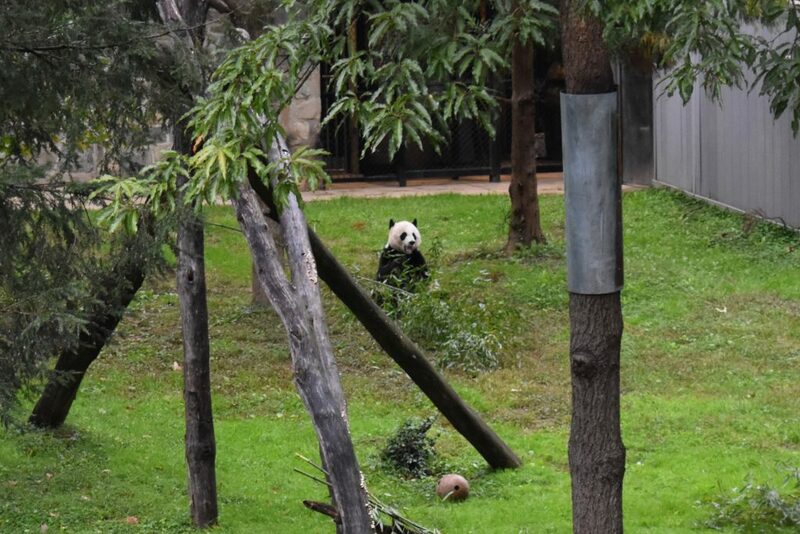 We were lucky enough to see the pandas on a cool, almost rainy day when they were quite active. All three pandas were out and moving around. One sat close to the glass munching on bamboo. 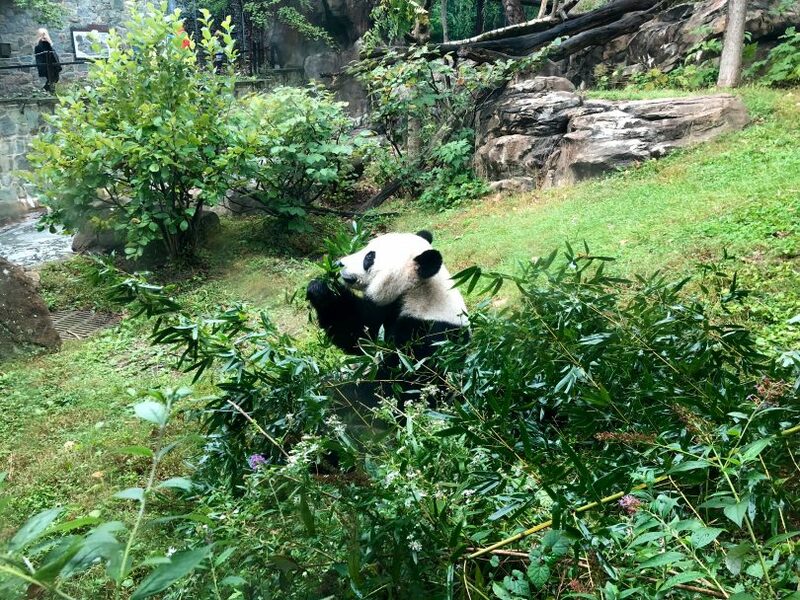 We recommend going in the morning when they first let the Pandas out because they are active and eating then. The pandas were so active early in the morning. 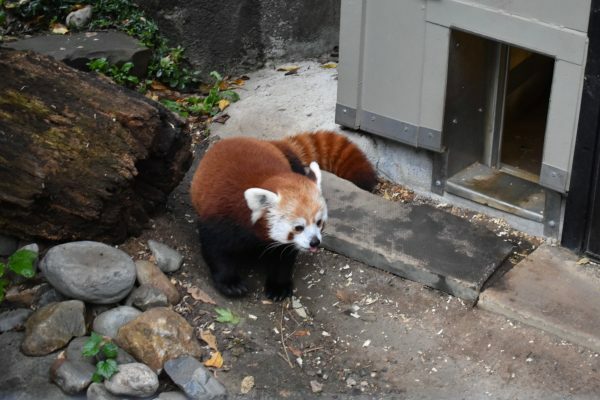 We loved the Red Panda, too! Make sure to go inside the building. 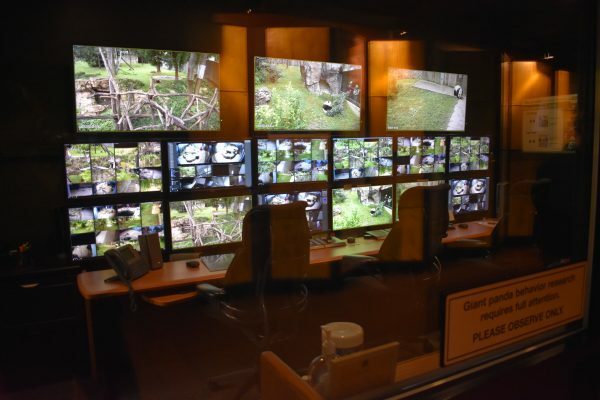 There is lots of information on the pandas, and this cool observation room. 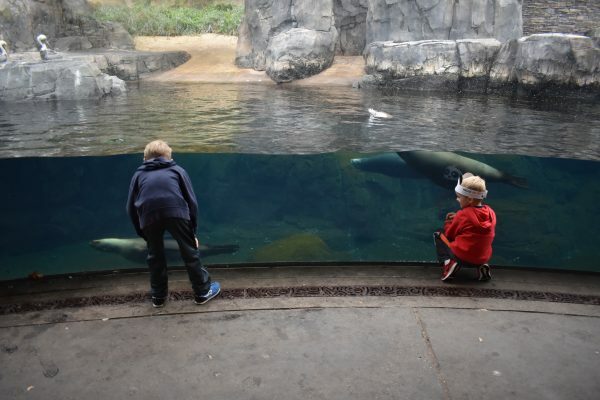 The National Zoo is divided into three main areas: Upper Zoo, Valley, and Lower Zoo. We tried to plan our route so that in the half day we were there we could catch most of the exhibits. We began our day exploring in the Upper Zoo around the Pandas. Then we worked our way down the Lower Zoo side. Finally, we walked the American Trail from the bottom up because it ended at Lot B. So as we walked uphill we were seeing animals so it didn’t seem as bad. 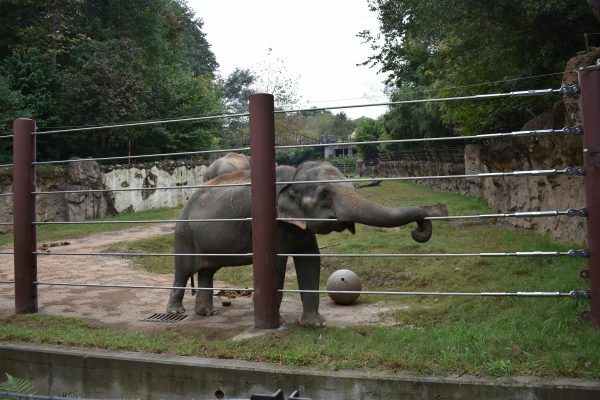 You can see the elephants inside and outside. This is part of the American Trail. We enjoyed all the different houses such as the reptile house and the small mammal house. Make sure to head inside these buildings and explore. The Amazonia building was really neat because there were birds flying around more like a biosphere than a cage. 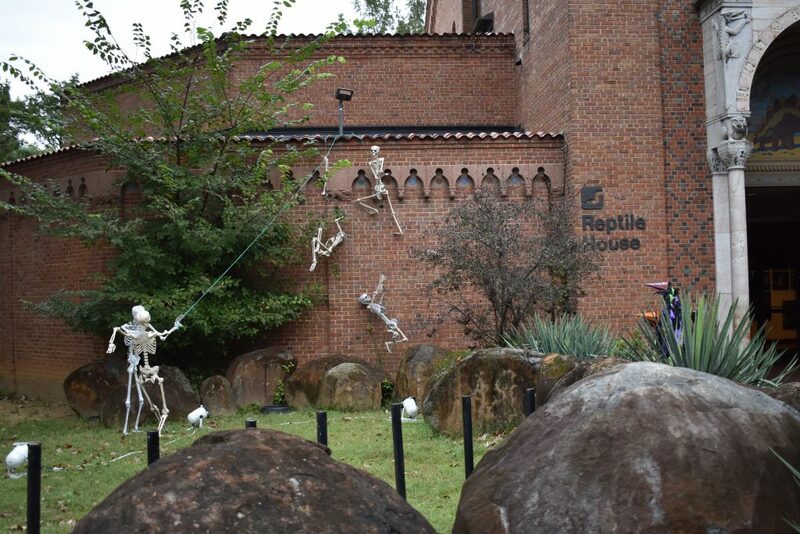 We were in DC in October, so the Zoo was decorated for Halloween. The Ape house was a lot of fun, but in the summer the apes are even more active. 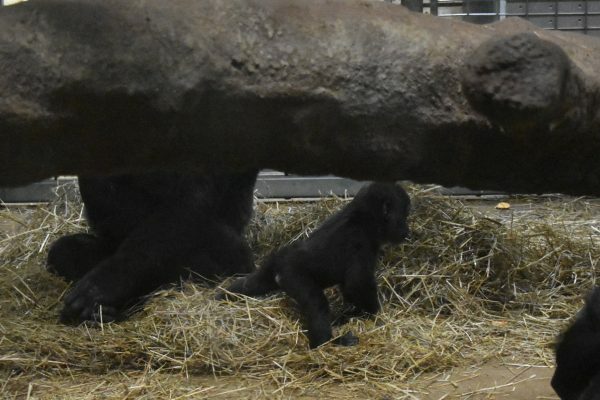 There was an adorable baby Gorilla. Tigers and lions (and cheetahs) in the big cat area. We really liked the Amazonia building with birds flying all around. There is a small petting zoo that we did not visit, but younger kids would probably really enjoy this area. 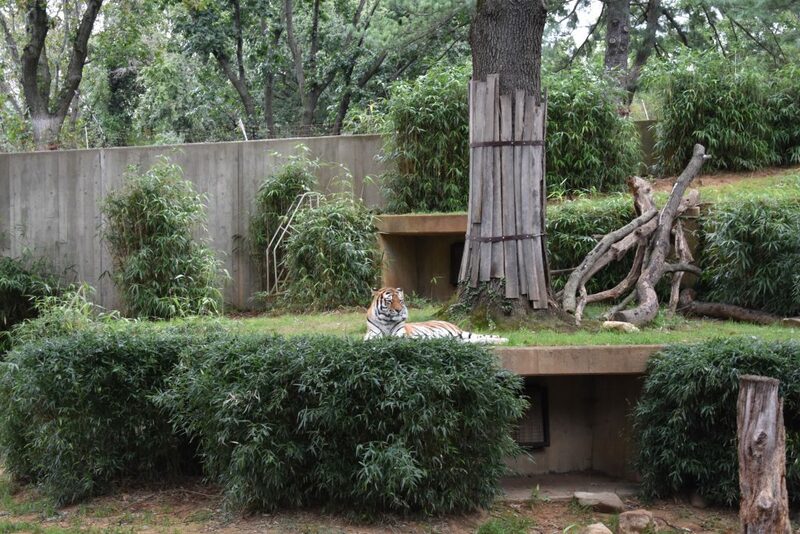 Make sure to check out the map of the National Zoo before you go and plan your day. We find that planning ahead allows us to see everything we want, and sometimes more. 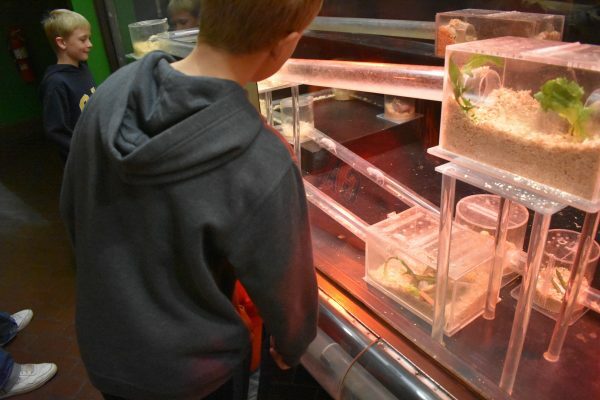 Our boys loved watching the Naked Mole Rats. Print a map beforehand. Or pay $5 for one in the park. You can also take a picture of the display map once at the zoo so you know where you or going. Plan your uphill climb. Would you rather climb first thing, or save it for the way out? 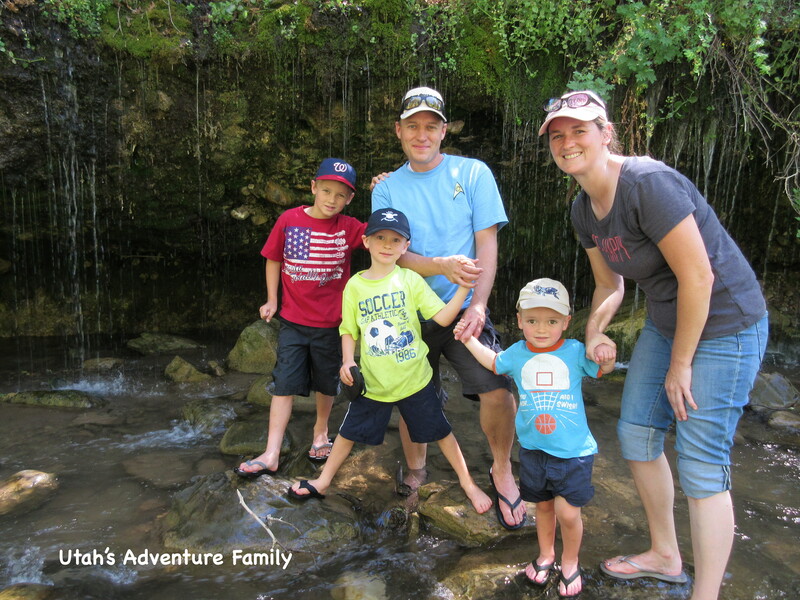 Since the zoo is built on a hill, make sure to plan the time when you will be climbing that is best for your kids. Arrive early. The zoo parking lots fill quickly, so the earlier you arrive the better chance of finding a parking place. The National Zoo opens at 8:00, but the buildings and most animals aren’t open until 9 am. We arrived around 8:20 and got a great parking place, and then headed up to wait for the pandas to come out. Pack food and water. 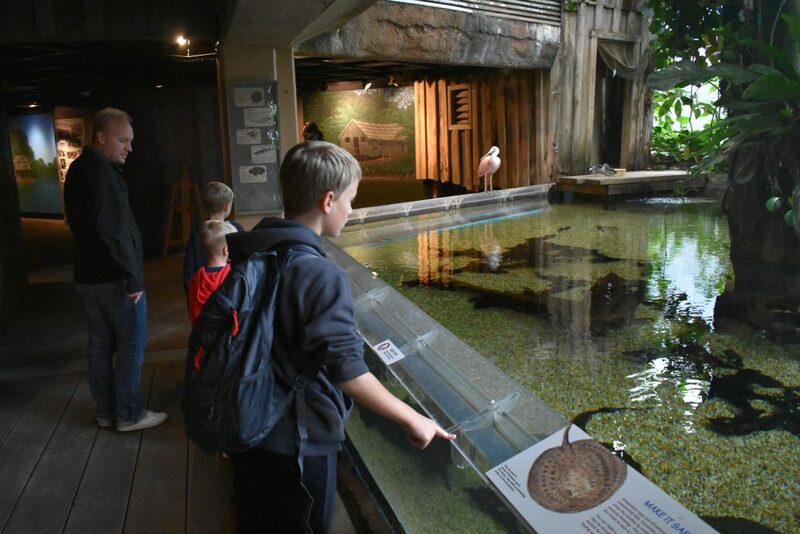 You can bring your own food and water into the zoo, so save money by bringing a lunch and snacks. Wear good shoes. 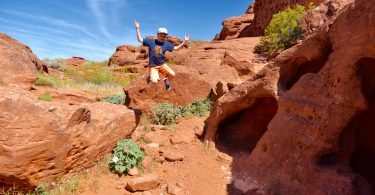 Walking around a zoo can feel a lot like hiking, so make sure to wear conformable shoes. 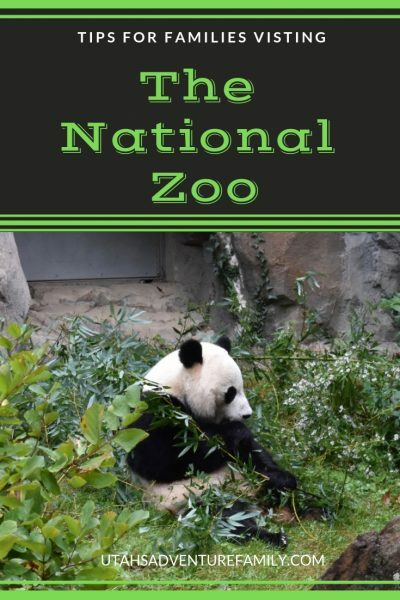 The National Zoo is not located on the National Mall. 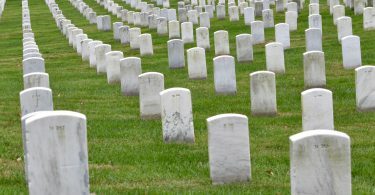 It is further outside the main city at 3001 Connecticut Ave. You will need to take public transportation from the National Mall if you don’t plan to drive. We loved all the animals at the National Zoo, even the small ones.